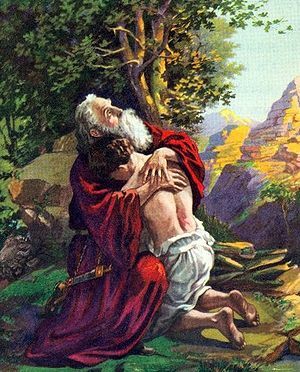 Many of us have heard the story of how Abraham was so obedient to the Lord and of how he sacrificed his son on the alter; a really notable occurrence because I can’t imagine it. I also see the symbolism in that it is a foreshadow of a loving God who sacrificed his own Son. 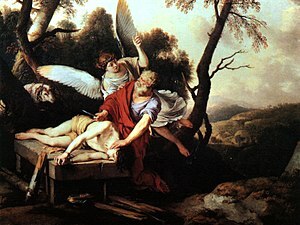 However, I was directed to Isaac and his subjection to the knowledge that his own father was going to sacrifice him after his being told that God would provide. Whatever, I think about Isaac is not the case, because Isaac trusted his daddy and I see now what God is telling me…that my trust should be so deep that in the trial of sacrifice I am still, even though the situation is difficult trust Him…Daddy will provide the meal, Daddy will provide whatever it is I need if I would just be still. To trust a father like that takes guts. It is not in the seen but in the unseen where faith right now works. Today: God is saying “I want you to take a look at Isaac.” Be still. Father, this word deserves attention that if we can just place our lives in your hand and know that you will provide…we don’t have to fight or squirm because you have the answer, you have the ram needed to make it work. We trust you Lord that life as a living sacrifice is the call of every man and woman called by your name. We give you praise that what ever we need is granted when we put our faith in you. In Jesus name we pray and ask it all. Amen. Posted on September 6, 2012, in Life, Ministry, spiritual. Bookmark the permalink. Leave a comment.